Motor skills are immensely important for the overall development of a child. 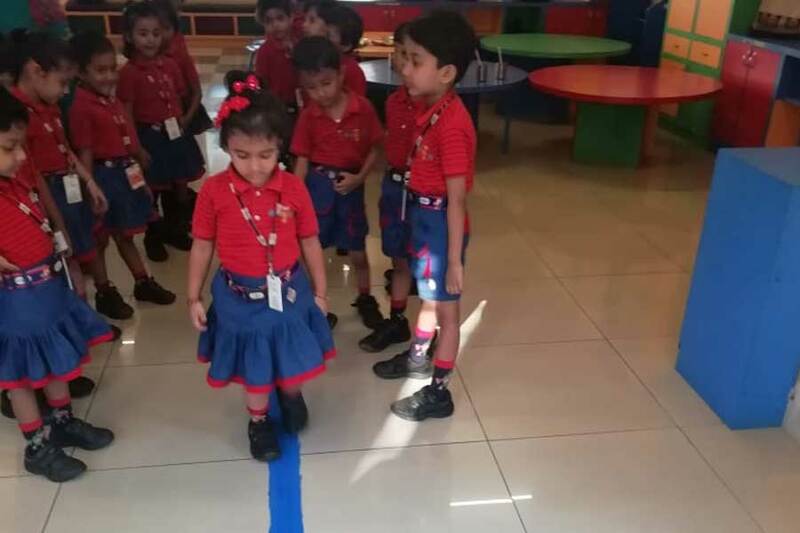 Learning both fine and gross motor skills are vital for their growth and independence. 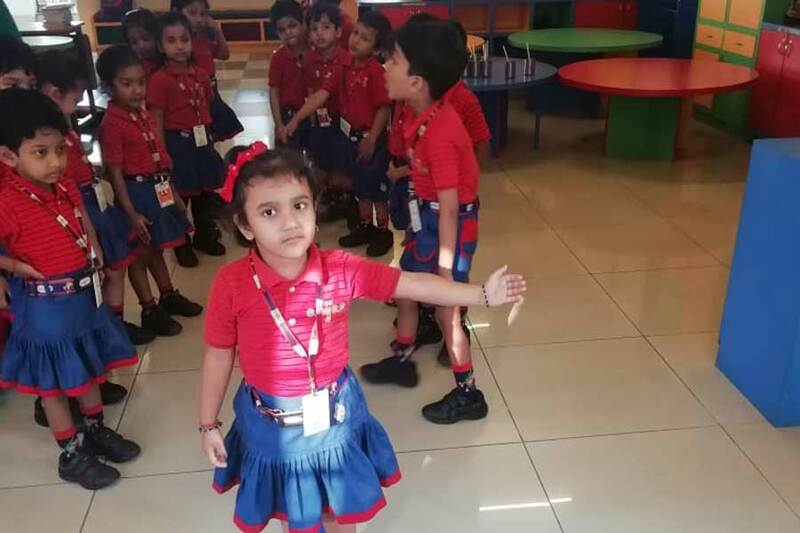 Having good motor control helps children explore the world around them and also help with their cognitive development. 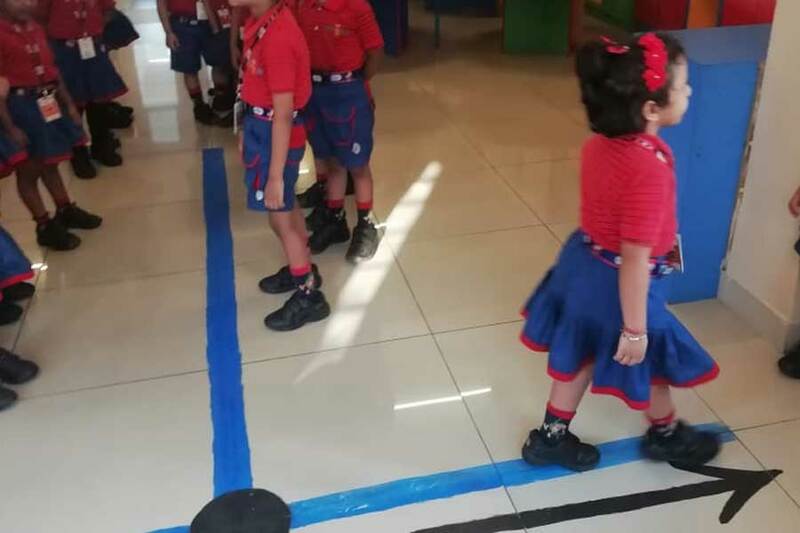 A straight line was drawn on the floor which had left and right arrows. 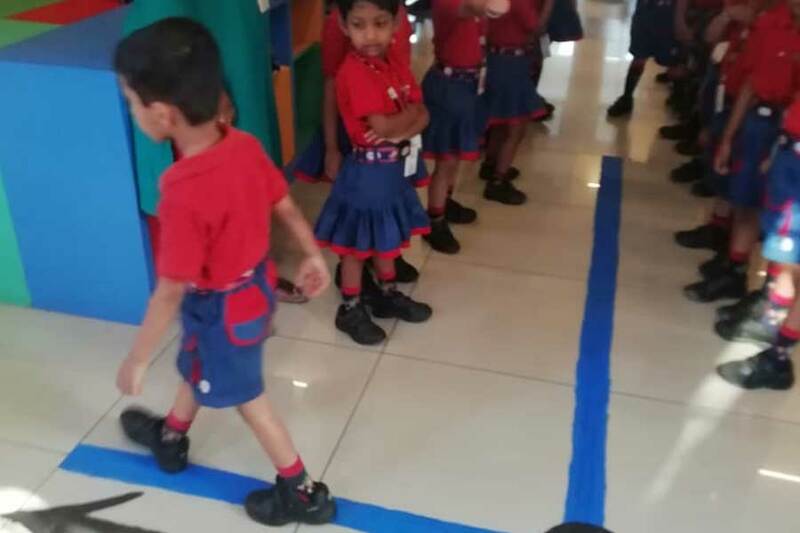 The students were asked to walk on a straight line. 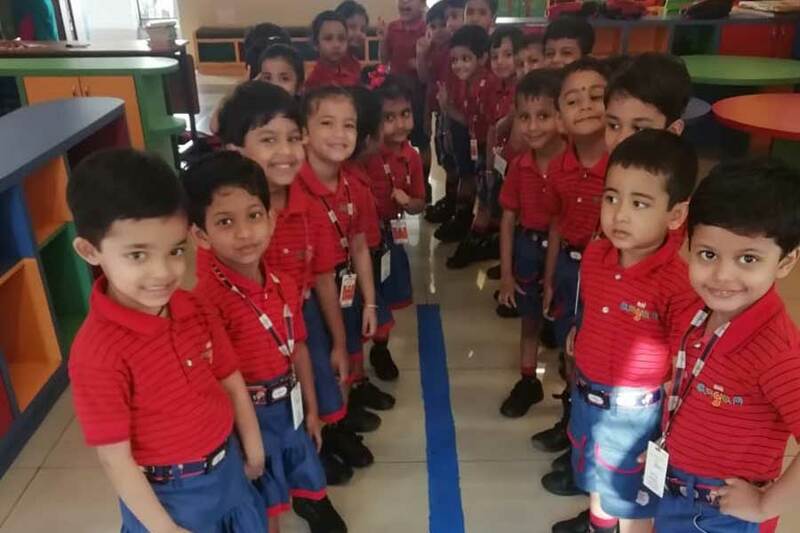 They took turns to go to left or right directions at the end of the line. 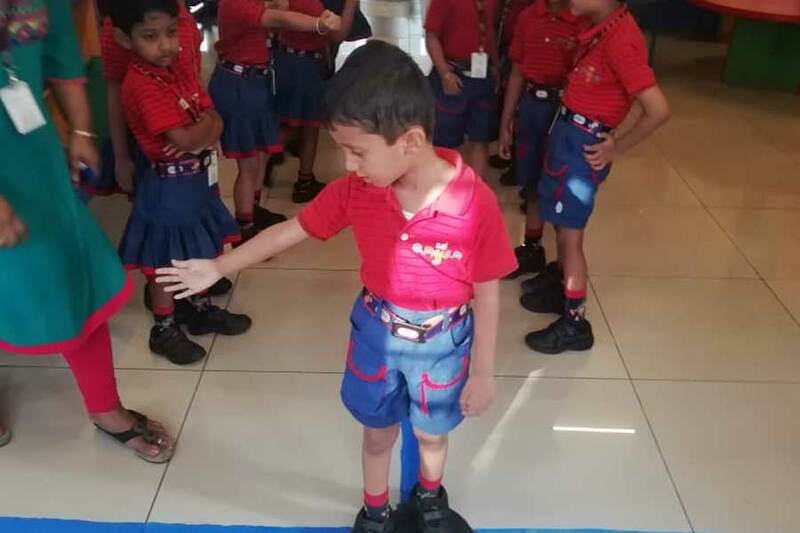 This activity helped in balancing the body of the students and also understanding and following the directions. 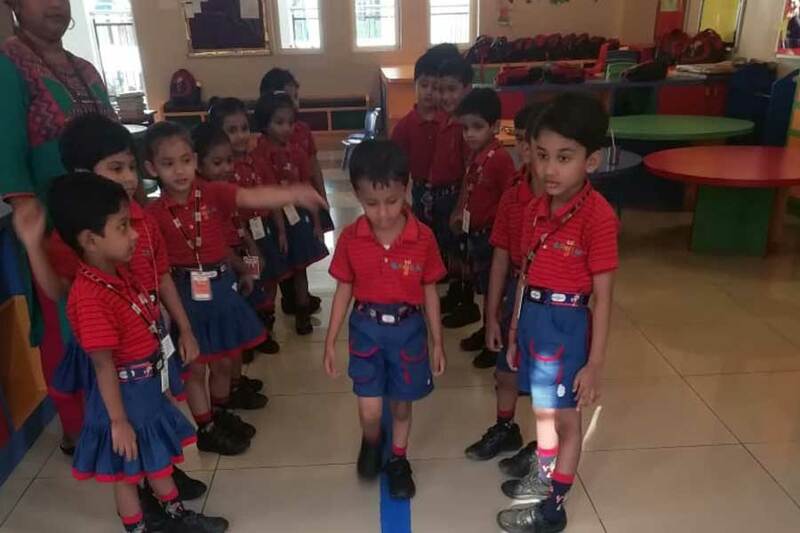 Working on gross motor skills, helps a child to gain strength and confidence in his/her body which is important for a happy and healthy lifestyle.